Once we found out for sure we were having our second baby girl, I really wanted to properly decide on her name. Just like we did first time around when we were expecting Sophie, we both agreed on a name pretty quickly and that was that. We finally decided on a name for this baby girl weeks ago, but I wanted to document it here because I think it's such a big decision but I couldn't be happier with the name we have chosen. We have chosen to only tell close family and friends this time, so we can share her name when she is born and introduce her properly. Although I almost keep slipping up, as I'm just so excited and can't wait to tell you all! There isn't particularly a reason behind it, we just really liked it! Baby girls' first name is one I have loved for years and I was adamant if we had another girl, that would be her name. Thankfully Toby liked it too, so she's always been known as that since we found out. I think it's nice that she is already her own person and it has definitely helped us all bond with her, as we can refer to her by her name. Especially Sophie, who loves talking to my bump and giving her plenty of cuddles and kisses. She is so excited and keeps asking if she's coming out yet, bless her. Her middle name was actually on the baby names' list for Sophie, so it's nice that it's getting used and the names go so well together. I just can't wait for our baby girl to arrive and I can introduce you to our new addition! 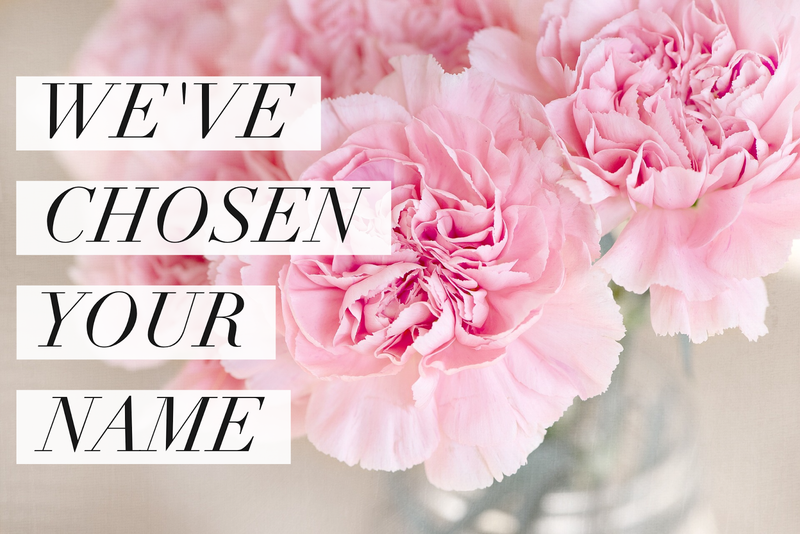 How did you decide on the names for your children?